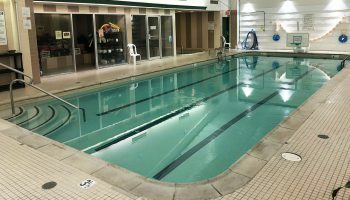 Exercise or relax in our heated pool or whirlpool spa. Warmed to an average temperature of 85 degrees our pool is perfectly suited for lap swimming or water class participation. We offer a variety of instructional swim programs for children and adults. We also offer many aquatic exercise classes for all levels of conditioning.